After retiring from my work as an accountant, I discovered RSVP Singapore by chance and joined as a volunteer in 2011. I started off as a volunteer under the Mentally Disadvantaged Outreach Programme (MDOP). In 2014, I joined the Mentoring Programme (MP) and was assigned to Lakeside Primary School. One of the teachers once shared with me that one of her students now appears more confident and participates more in her class nowadays. She thanked me and my team for the guidance and support which has boosted her morale as she could observe how much the student has grown after she became part of the mentoring programme. Examples like this spur me on in my volunteering journey, which can be challenging at times. 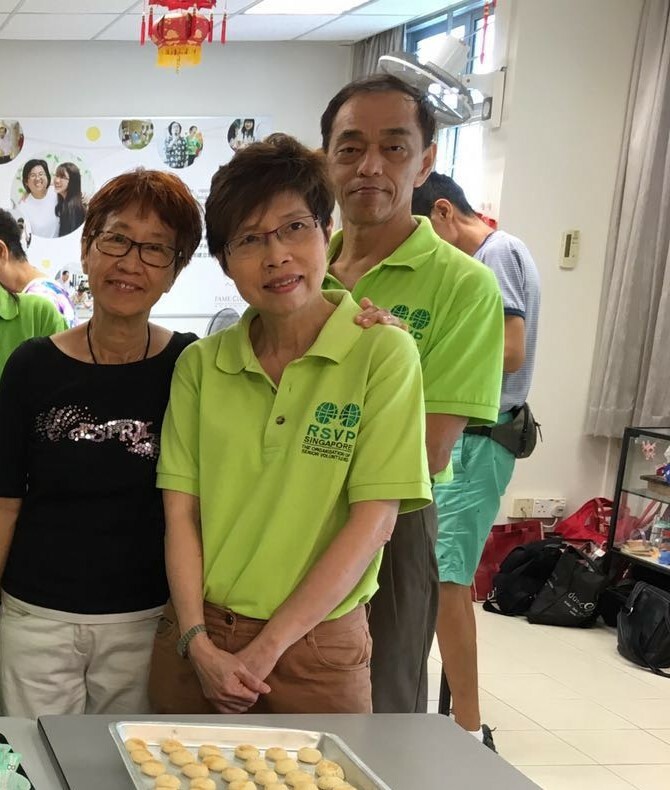 Under MDOP, I continued to participate actively in the activities at Bethesda Care Centre, a rehabilitation day care centre for mental outpatients. It can be a daunting proposition to some people when it comes to interacting with these patients who can either be in a chronic condition or those who have regained a certain level of functionality. However, as I have discovered through my volunteering experience, it can be very rewarding especially when you see the clients blossoming under your guidance. Many times, all they need is a friend to talk to. Volunteering has really opened my eyes to the many facets of society and when you see others who have very little but still giving back what they can, it is really inspiring and encouraging. The joy of volunteering may be a foreign concept to admin professionals like me who spent most of their time in a desk-bound job but I would like to invite everyone to try because ultimately, if you go out and make some good things happen, you will fill the world with hope and fill yourself with hope. One thing I’ve learnt during my volunteering journey is the power of friendship. Just being a friend to someone in less fortunate circumstances than you can make a big difference to that person’s outlook. And you, as the volunteer, benefit as well from forging friendships that have such a positive impact.